Have you heard about Althea's Bare Essential, the latest talk of the town? If you have not, don't worry because Pixie Anis is here to share you the latest gossip straight from the Pixie Playground in Althealand! *giggles* If you are a long time reader, you would definitely know that I am excited about this, especially since I have been apart of Althea family from (almost) the start of the journey in 2015 (and also one of their first customers since I was one of the beta testers for the first website) ! 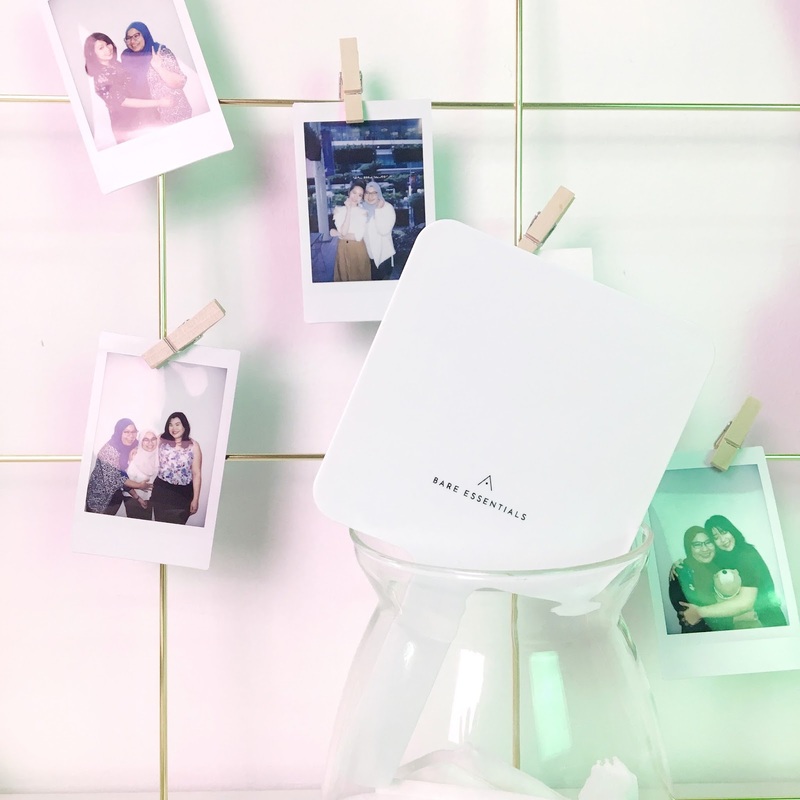 There are so many changes that I managed to witness firsthand; from just having Althea Malaysia as the first country Althea was launched on, to growing our international platform Althea US and now launching our skincare range. After introducing the Petal Velvet Powder mid last year which has been receiving amazing feedback (by the way we released a new shade for the PVP!) and we're now celebrating the start of 2018 with the release of Althea Bare Essentials! It's definitely the high time to share about what I know regarding the range, and there is no better way to talk about it other than on my own blog right? Plus, I need to dust off the spider webs here and starts typing away since I've been neglecting this space for two months. Yes, guilty as charged. Although we do love the famous 10 steps Korean skincare routine, let's be honest, committing to every single of them daily can be such a pain sometimes. Life can be hectic and occasionally we ain't got the time to even cleanse properly before going to bed. I had my days where all I want to do is to go to sleep after a long and tiring day and can't really be bothered with removing my makeup, let alone a long and complicated skincare. On top of that, over application of skincare especially ones that are not suitable for your skin type will only clog the pores more and make your skin feels 'tired'. Althea Bare Essentials aims to simplify the steps while making sure your skin still get what it needs; all hydrated and at its optimal comfort level. With the tagline 'Your Skin Completes Makeup', now you can take a step back to reset with just three simple steps of skincare; with the original 'cleansing-toning-moisturising' rule. What Does 'Your Skin Completes Makeup' Means? Limited edition Althea BE hand mirror! One: Don't cover up, complete makeup with your skin. Through this, Althea wants to show that with proper care, your skin won't need any more cover-up. Instead, you'll look makeup ready even with nothing else on but your bare face. So basically, Althea want your healthy skin to be your ultimate makeup! Two: Dreaming of the flawless makeup look you always see from the Korean celebrity? The secret is to have the canvas to your makeup masterpiece to be as perfect as it can possibly be. In order to do that, a good skin management is needed; that way your skin will be one of the 'tool' to complete your makeup! 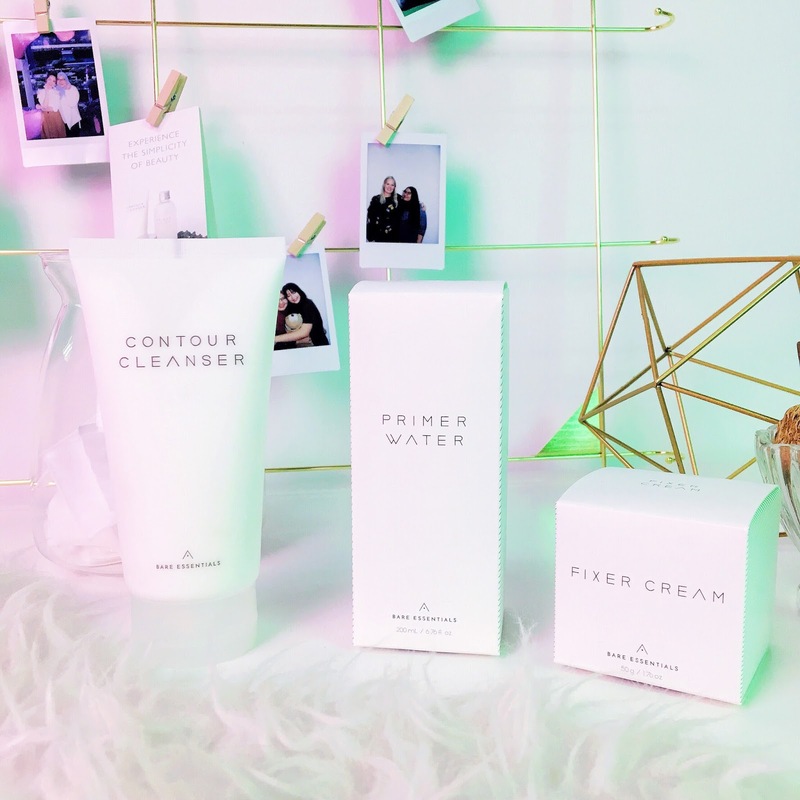 That's why the three products are named as Contour Cleanser, Primer Water, and Fixer Cream. 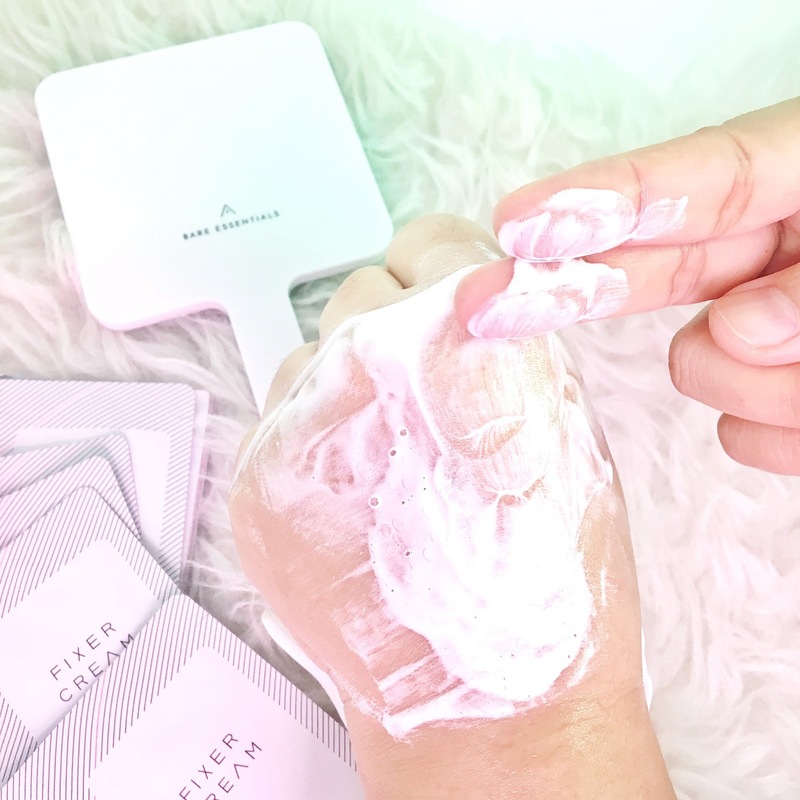 Just like how you normally contour, primer and fix your makeup, this time your skincare would do the same to help your skin looks like your it is already makeup-ready. Bared or not! We also want to focus on two main keywords 'light' and 'bright'. This two keyword emphasizes on reduced steps to ensure that your skin doesn't feel heavy and shows a natural glow, post-skincare. It represents comfort because, with fewer steps, your skin won't feel 'suffocated' having to absorb so many products in one go. This cleanser contains densely packed micro-capsules that pop when met with water to wash out impurities. 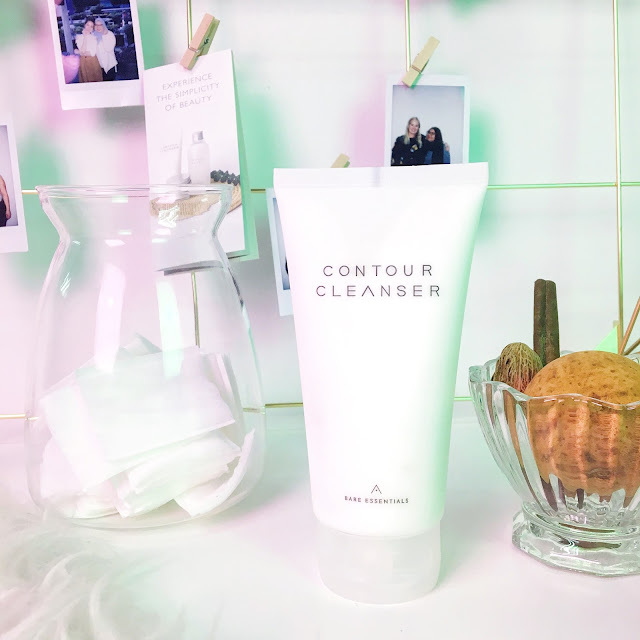 Althea Contour Cleanser helps to detoxify the skin and improve blood circulation due to the microcapsules, to reduce bloating and create a perfect slim face line. The Lemon Martyle or Lemon Verbena Leaf (Lippia Citriodora Leaf Extract) used in the cleanser is said to have 9 times more detoxifying effect than a lemon. The ingredient also contains Vitamin C and E which are also known to have a great antioxidant effect. Rich lather and comes with exfoliating bits to remove dead skin. One of the ingredients in the cleanser is Ice Plant (Mesembryanthemum Crystallinum Extract) which originated from South Africa that helps to give a cooling sensation post-cleansing. Another ingredient used that is notable for the cooling effect is Menthol. The Primer Water bottle is totally my cup of tea. 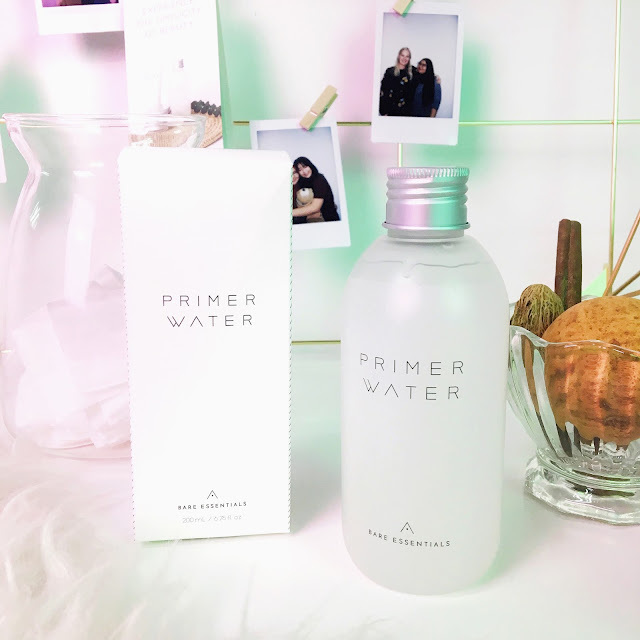 Ahh, it's finally time to talk about my favourite product from the range; the Primer Water. I fell in love with the consistency of this product from the first time I tried it. The keyword for this product is 'dewdrop' as it's aimed to give you that 'chok-chok' (dewy) skin, all healthy and plumped up! Personally, I feel like it has an almost jelly-like texture but packed with more water than usual. Totally love how each 'blob' turns watery as soon as it's applied to the skin. I also love the light scent of this primer water but I do feel that scent is more of a personal preference so you better try them and decide if you like how it smells like or not. Texture that is slightly thicker and jelly like. Using a technology that allows instant 'dewdrop' formation that fills in the gap in the pores, making the skin feels smooth and soft. The skin will feel like it's wrapped with a silk veil that also gives off a natural radiance. Contains Chamomilla Recutita (Matricaria) flower extract and Butylene Glycol that is known as the ingredients with powerful moisturising properties. One of the ingredients used in the Primer Water is the Snow Lotus, a flower that blooms in the snow. Scientifically known as Saussurea Involucrata Extract, it is nicknamed as the 'Emperor's Medicinal Herb', as this plant can only be retrieved in the rock crevice at Highlands, 4000 meters above sea level, covered with perpetual snow. Its said to help brighten up complexion to gives out a natural glow. Tips: For more intensive treatment, you can apply this toner two times in a row. You can also use a mask tablet and soak it in the primer water for a quick masking time. 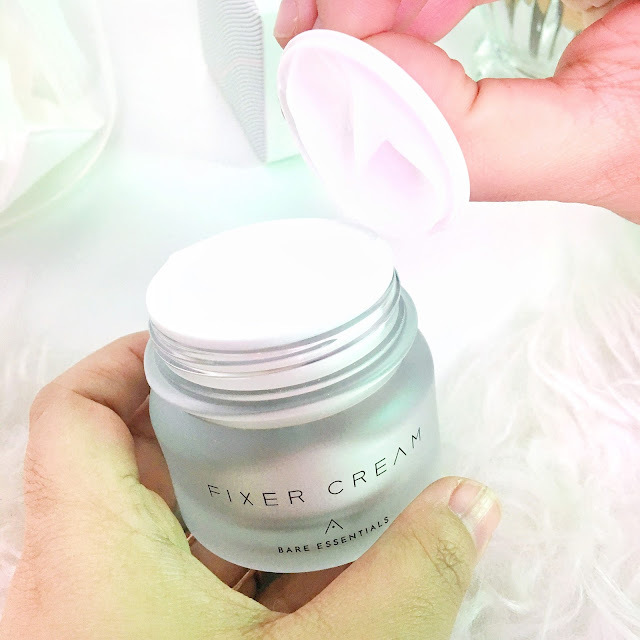 Wrap up your skincare with Bare Essentials by using the Fixer Cream, a light cream that just bombs your dry skin with the hydration it needs. I have a dry skin, but personally, I hate to use a heavy cream on my skin, especially with Malaysia hot and humid climate. I find them to be counterproductive as they tend to clog my pores more. I prefer a light cream; much better if it turns watery as I massaged them into my skin. 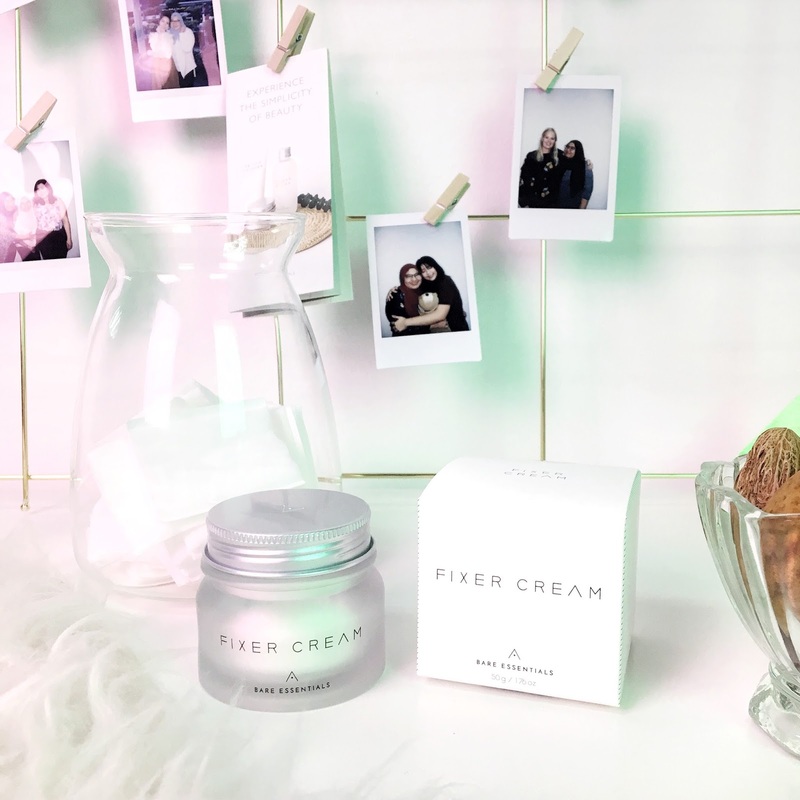 The Althea Bare Essentials Fixer Cream do just the same, and I can feel the plumpness of my skin under my fingertips right after applying it on my skin. One of this cream key feature is it's adhering properties to ensure long-lasting hydration to the skin. This is achievable using Trehalose as one of the key ingredients. Trelahose can be found in cactus, which is known as the plant that can withstand the severe dryness of the desert. 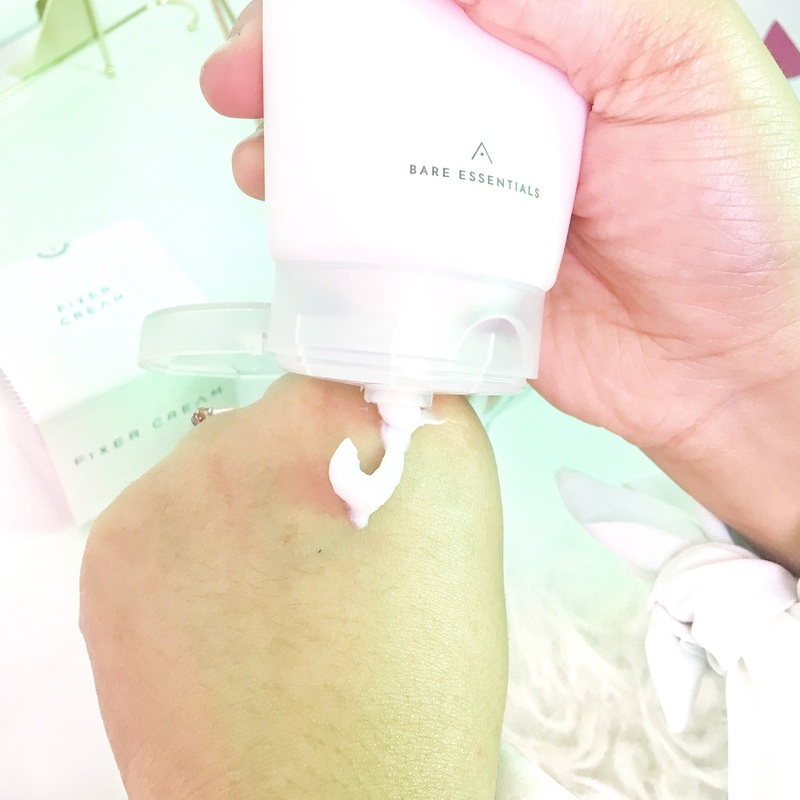 It's ability to not just prevent water loss via evaporation but also reinforces moisturising effect in order to deliver long-lasting hydration makes it an ideal ingredient for the skin! In addition to Trelahose, the Bare Essentials Fixer Cream also contains Camellia Sinensis Seed Oil that is known to be another moisture loving ingredient with its ability to prevent loss of moisture. This cream also contains an ingredient from the Baobab Tree called Adansonia Digitata Seed Extract. The Baobab tree is considered sacred in Africa has a nickname ‘bottle tree’ because it has outstanding water retention ability. Random trivia: do you know that Baobab tree is actually featured in Antoine de Saint-Exupéry's internationally renowned book and a classic, The Little Price? Tips: I was told that some people had a time of their life trying to open the cap. 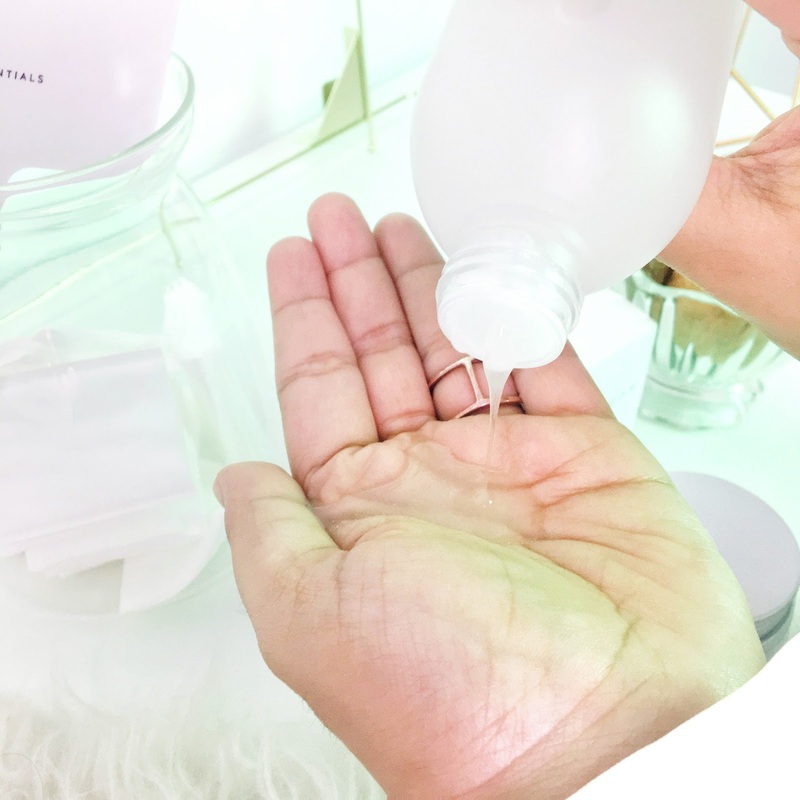 The cap is slightly tighter to avoid spillage during shipping but you can actually open it easily if you use a dry cloth to hold the top cap and twist it. Because of the material of the cap, using a cloth to hold it will provide you with extra grip. Hope this hack will help! 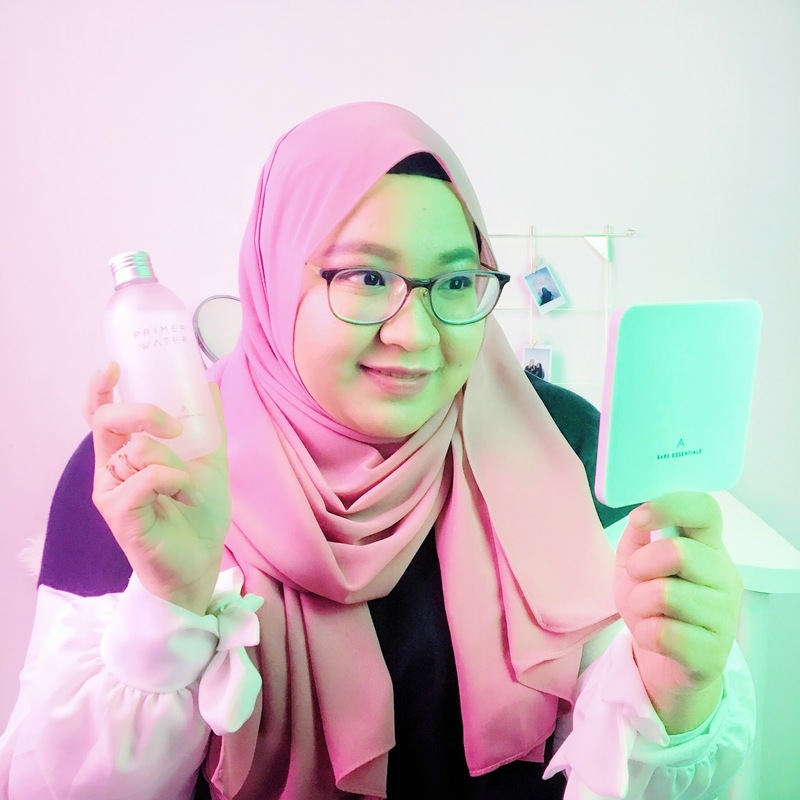 I know a lot of you have been wanting to try the products out especially those living in countries where Althea doesn't ship to currently (yes, I'm talking about you Indonesian fans!). For that, I'm giving away a set of Althea Bare Essentials products including the Contour Cleanser, the Primer Water and the Fixer Cream to ONE (1) lucky winner. The winner will also receive a limited edition Althea Bare Essentials hand mirror! 3. 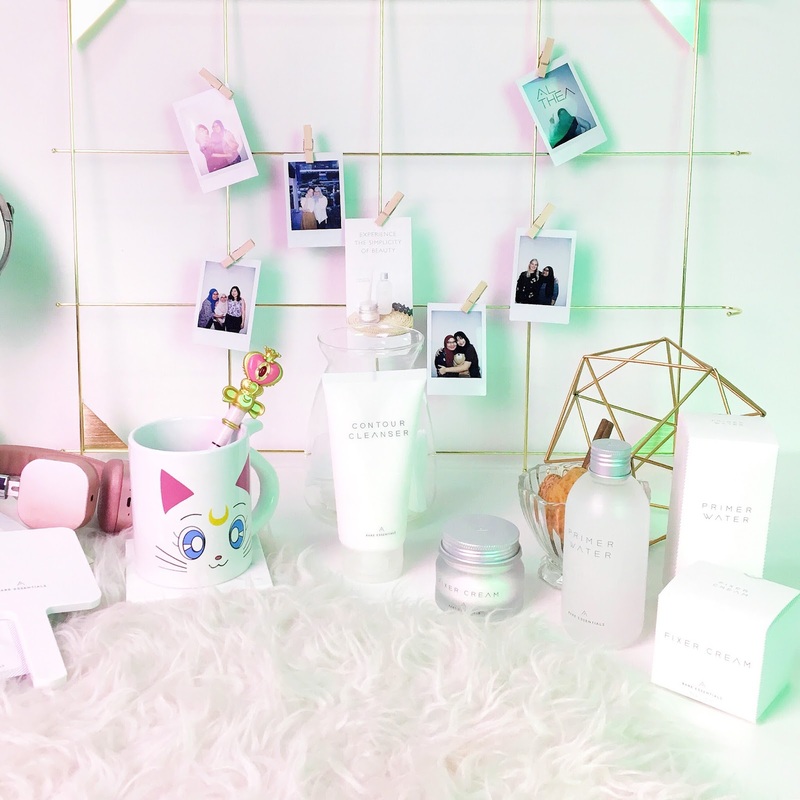 Tag 3 friends to share the love of K-beauty. 1. Leave a comment on this blog post along with your Instagram username. 3. Repost the giveaway picture on your Instagram (public account) with hashtag #thethinkerbelleXalthea or screenshot the picture and shout out about the giveaway on your story and tag me! 5. You can tag more friends to increase the chance of winning. P/S: To purchase Althea Bare Essentials, kindly visit Althea website on www.althea.kr 💓 You can use my referral link here if you are a first time customer to get up to RM20 OFF your first purchase, terms and conditions apply (only for Althea Malaysia website). Update: I have selected the winner and the lucky entry goes to @compianion! Please contact me via Instagram DM with your shipping details. I love the concept and the packaging is also sleek & stylish! 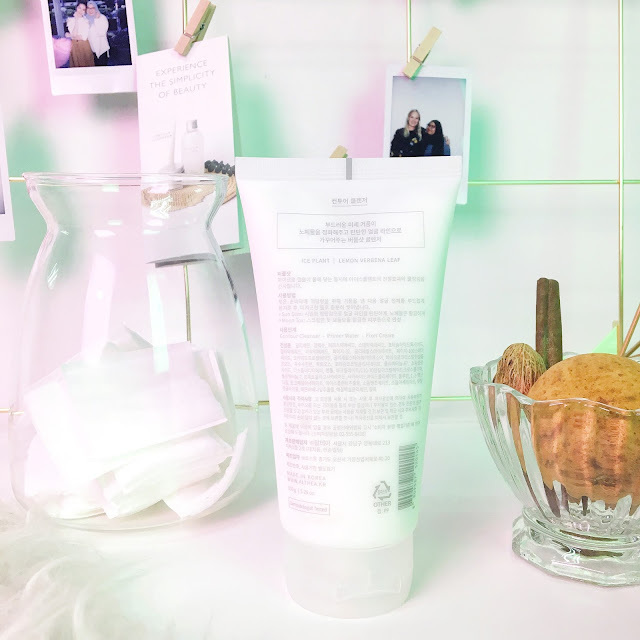 Agree with you, I have dry skin too and heavy cream annoys me so much because i hate the sticky feeling! Thank you for sharing and i hope we Indonesian altheans can try these products too! I always have a deep admiration for mothers because I can't imagine juggling everything like moms do! I hope you'll be the lucky one to win this too :) Good luck! I'm glad you like my writing Noorniey :) Thanks for visiting and I wish you luck! No problem :) I am happy to share about the Bare Essentials as they're very close to my heart. I wish you good luck! Aww thanks :) There are a lot more people that know better than I do, but I try to learn as much as I can. Glad this post benefit you in some ways. I enjoyed reading your very thorough review on Althea Bare Essentials. They sound amazing and the DewDrop technology is very interesting. I like to read about Korean products as I am overwhelmed by all that is out there but really would like to get into using some of them.